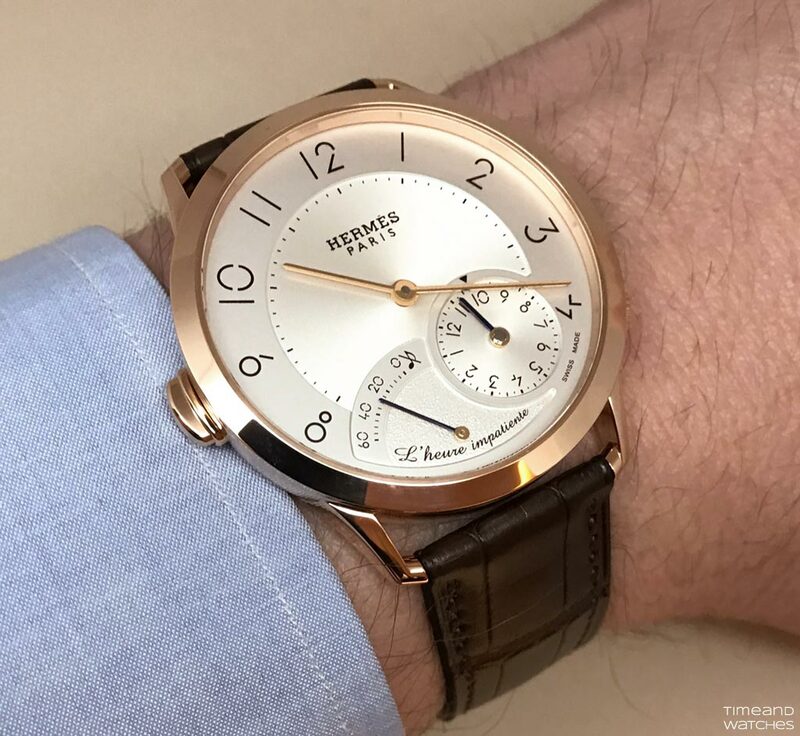 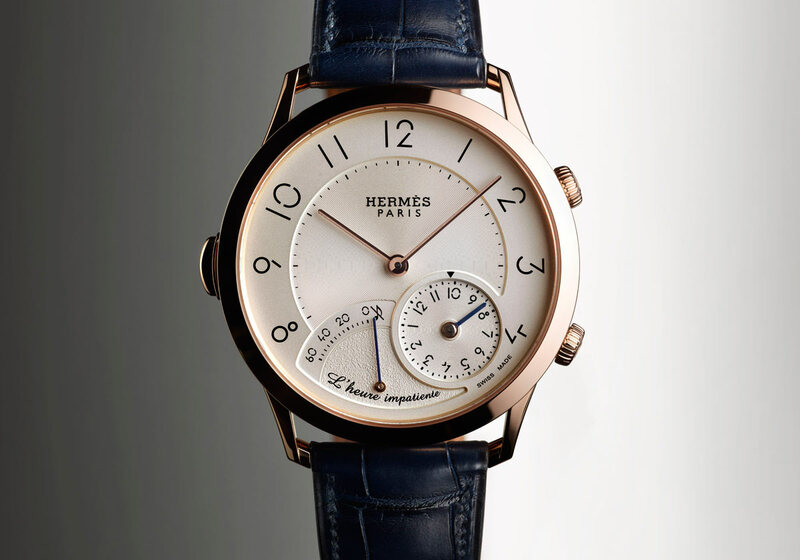 The Slim d’Hermès L’heure impatiente is endowed with a rare complication allowing the owner to set the counter of the watch to the time of an upcoming event that will take place in less than 12 hours. 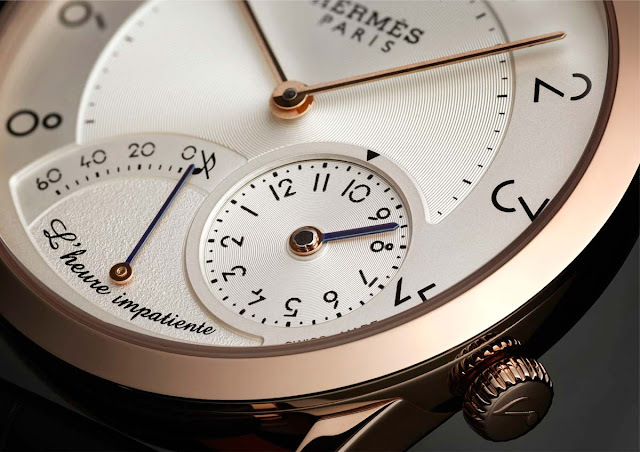 An hour before this special moment occurs, the mechanical timer is set in motion and its progress can be followed at 6 o’clock on the dial until the note rings out. The striking mechanism has been designed to ensure a smooth sound that is modulated for the wearer’s ears only. 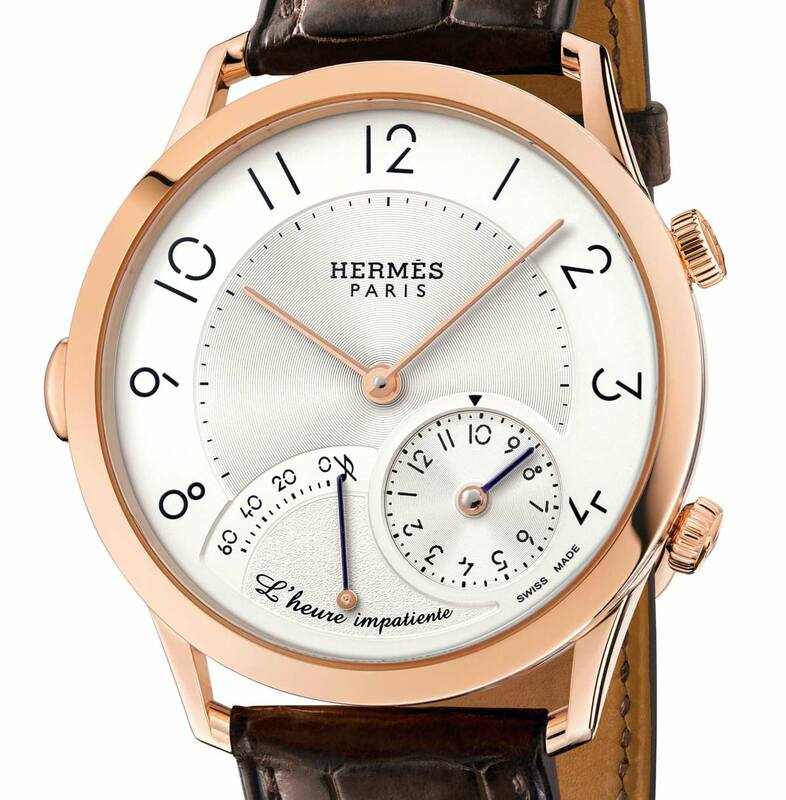 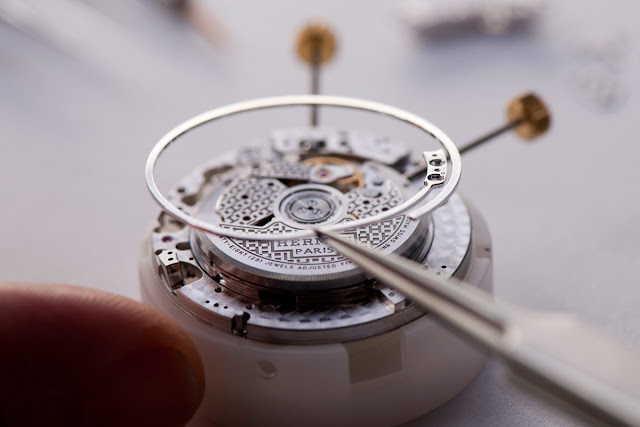 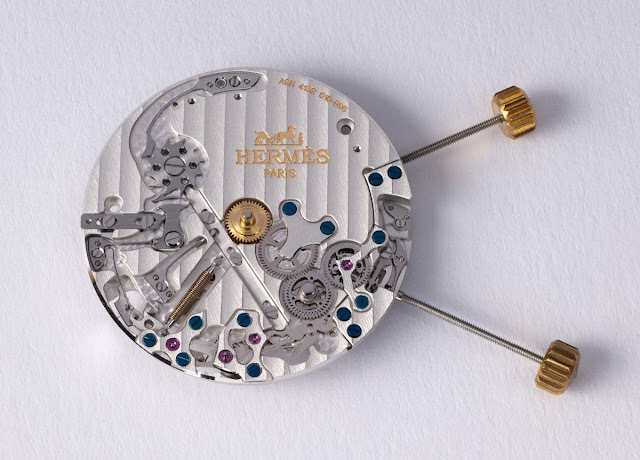 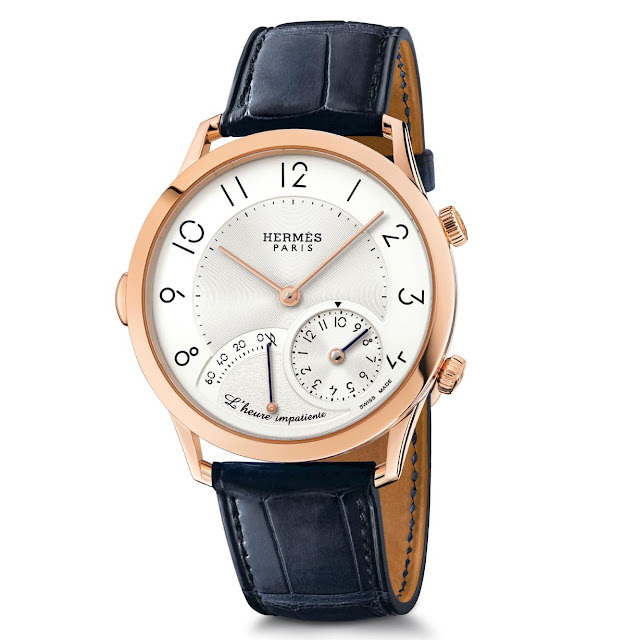 To optimize the performance of this 2.2 mm thick module and increase the volume of air, Hermès equipped the watch with the manufacture H1912 movement, a compact calibre housed in a spacious case with thinner than usual crystals and, finally, a 1 mm dial that resonates with the vibration of the striking mechanism. 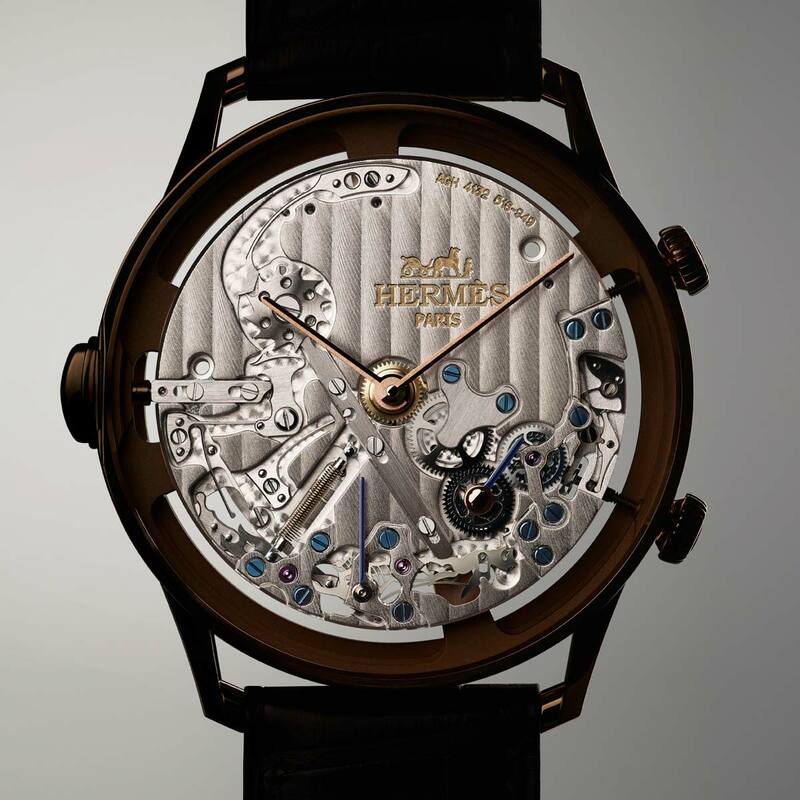 Beating at 28,800 vibrations per hour (4 Hz), this 193-part movement offers a power reserve of 42 hours. Bridges and oscillating weight are satin-brushed and adorned with the signature H pattern. 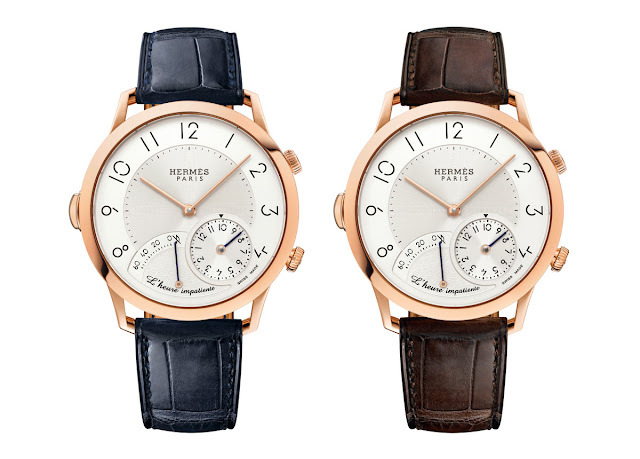 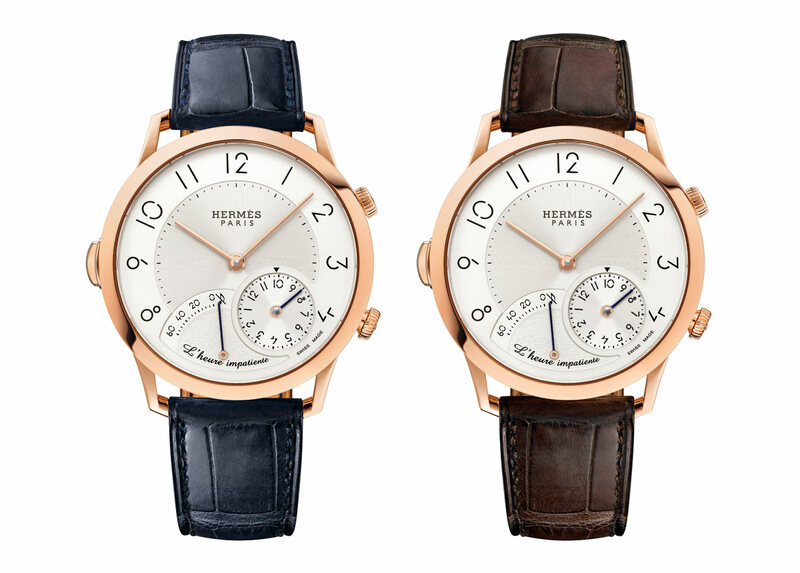 The 40.5 mm rose gold case frames an opaline silvered dial featuring black transferred Arabic numerals and minute circle with gilded sandblasted or blue lacquered baton-type hands.